Acupuncture has been used for centuries to treat medical conditions of all types. One of the main reasons why it is so effective when used in the traditional sense is that protocols are based on the individual, whole-body health of the patient. Symptoms that are physical and those that are mental-emotional contribute to well-being and also contribute equally to overall health. Acupuncture is a treatment that can be used to help improve the odds of conception and to maintain healthy pregnancies. By carefully determining the clinical picture of the patient, weekly treatments that match the menstrual cycle phases can optimize ovulation and assist with conception. Treatments are not standard, the health and symptoms of the patient are discussed at each session so that truly individualized care is provided. When a Naturopathic Physician designs acupuncture protocols, the use of other treatment forms such as diet, nutrition, supplementation, lifestyle and hormone balancing are additionally addressed. This makes for a unique, whole-body balancing approach and helps to improve successful pregnancies. Acupuncture can be used in combination with assisted-fertility treatments. Studies have shown that acupuncture protocols used surrounding IVF procedures have significantly increased the rate of successful IVF pregnancies. At Vitalia Health Care, we have happily seen this first-hand. Dr. Luis has specific training in acupuncture surrounding assisted pregnancies and fertility. It is recommended to start acupuncture and whole body health such as hormone balancing and nutrition and lifestyle optimization up to 6 months or more in advance of trying to conceive if possible. However treatment can start at any time and address the current situation. 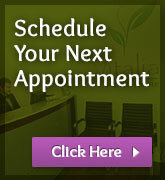 For more information, please contact Dr. Luis at Vitalia Health Care.